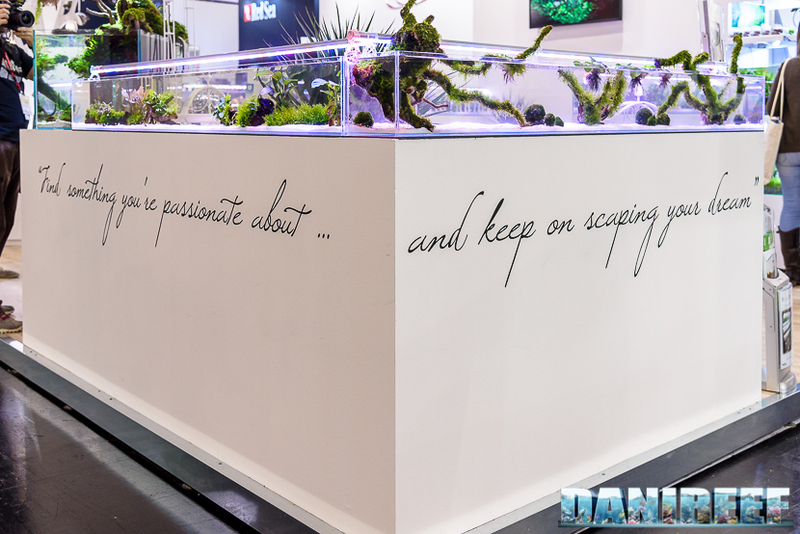 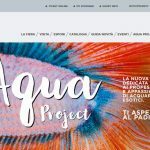 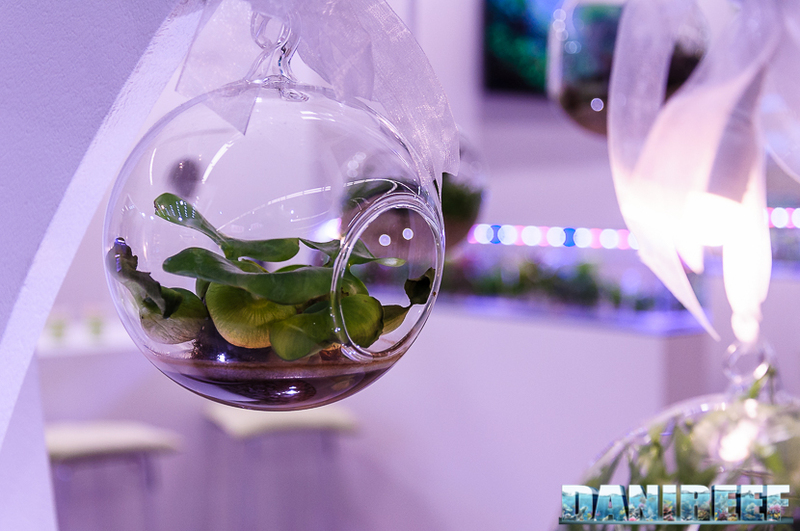 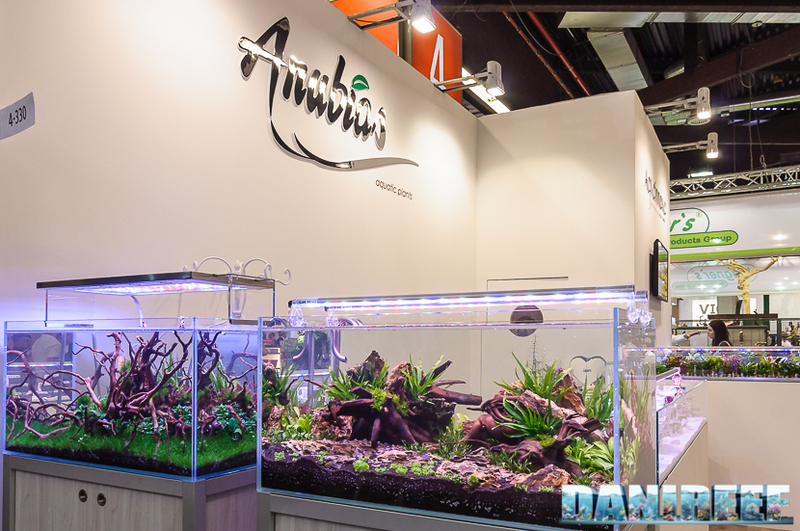 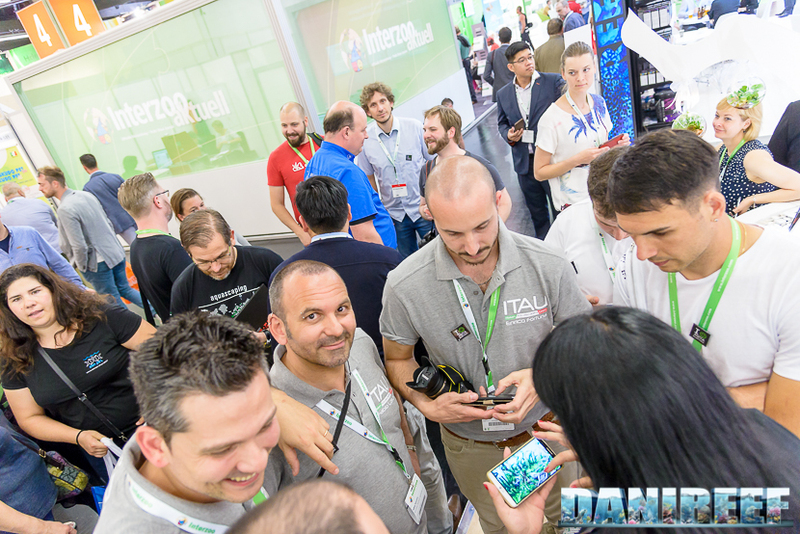 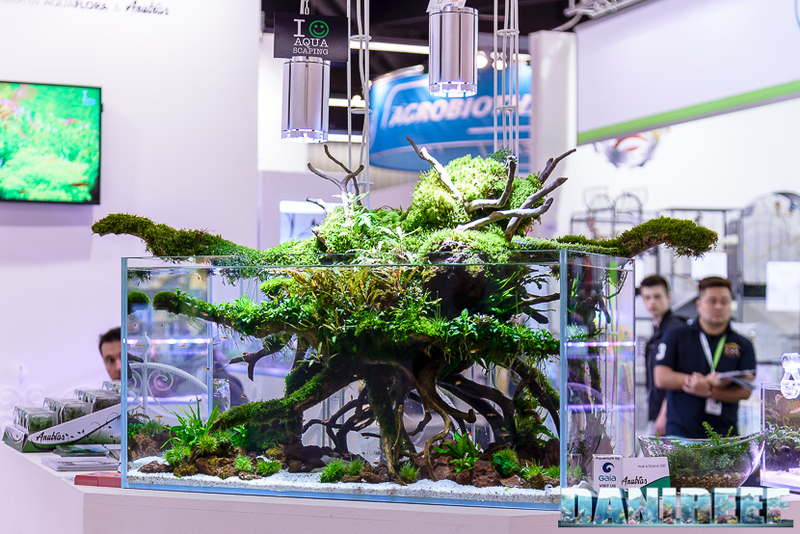 Anubias, an Italian company that makes an appearance at all the most important events, focuses on the cultivation and distribution of aquatic plants for fresh water aquariums – many of which were the basis the fantastic aquascaping that we saw during Interzoo. 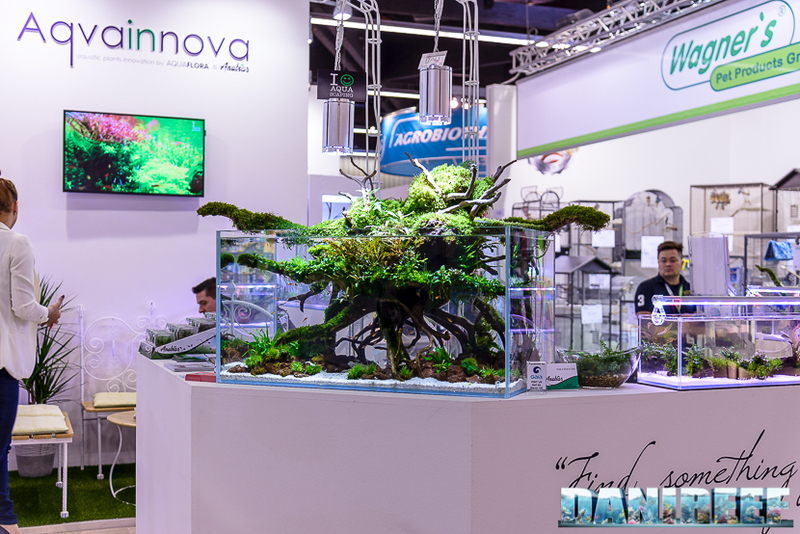 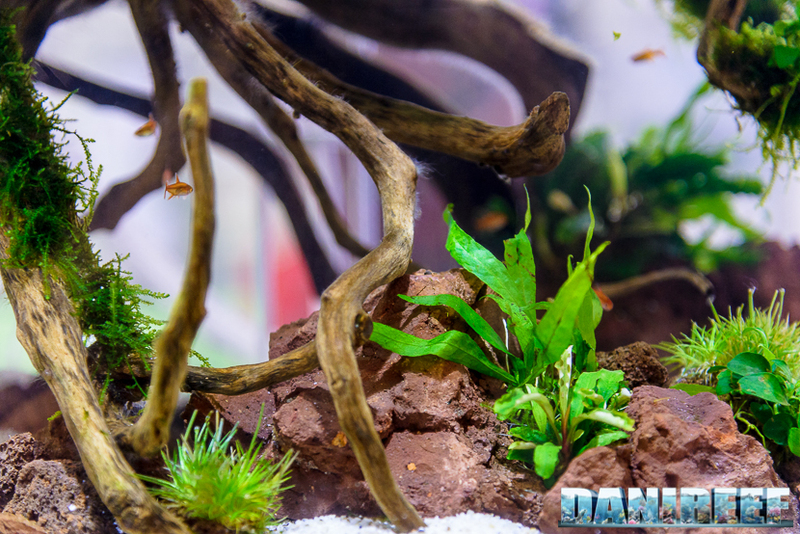 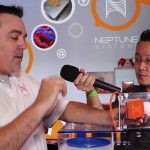 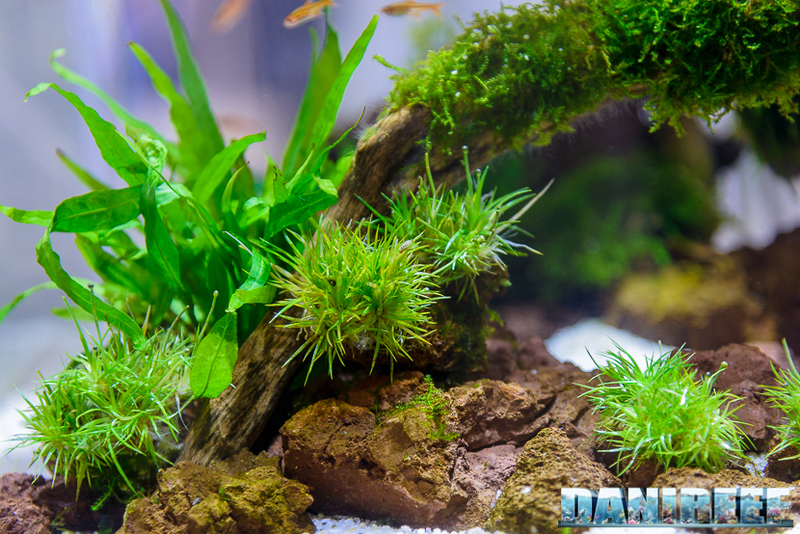 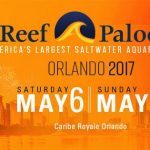 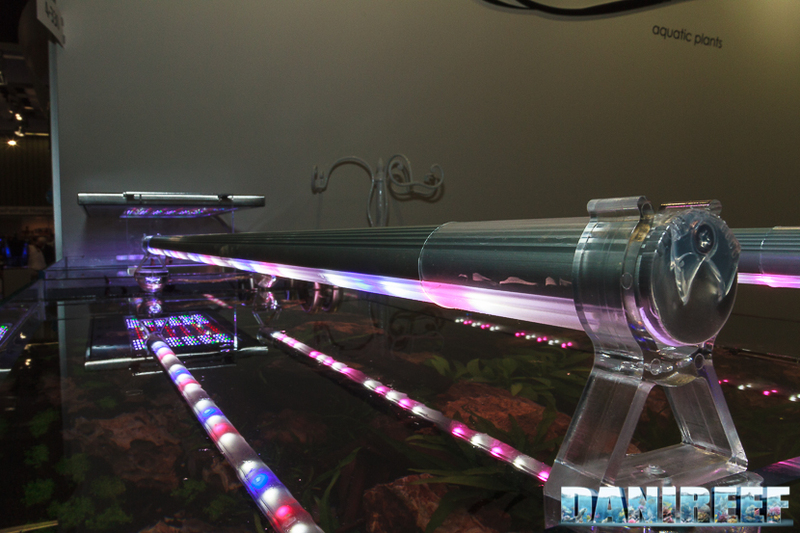 The booth was large and streamlined, with a white background and many plants and aquascaped tanks on display – one of them was really cool, and in my opinion, one of the most beautiful of the whole event. 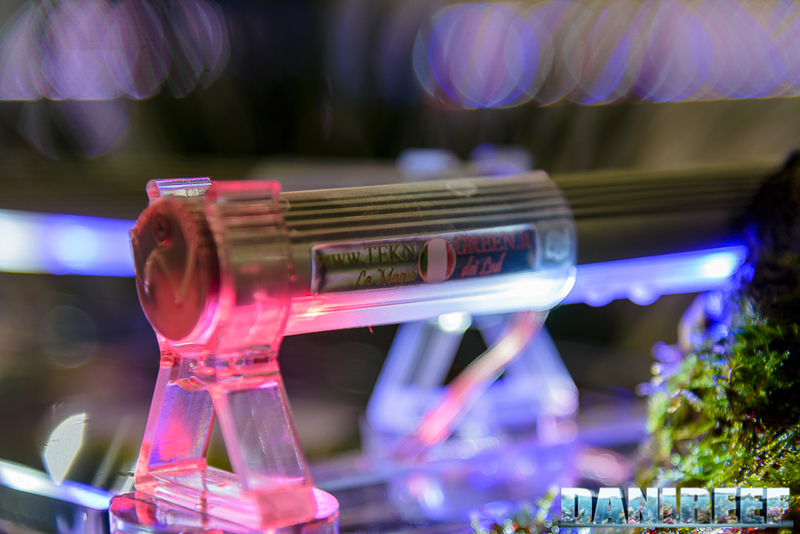 It seemed to get photographed by every person that passed by! 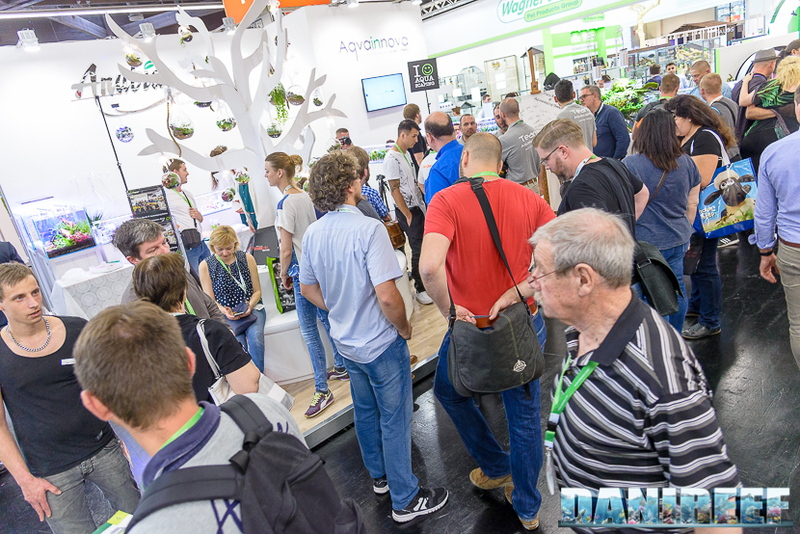 But before we talk about what we saw, we’d like to mention that there seemed to be nonstop gatherings at the Anubias booth. 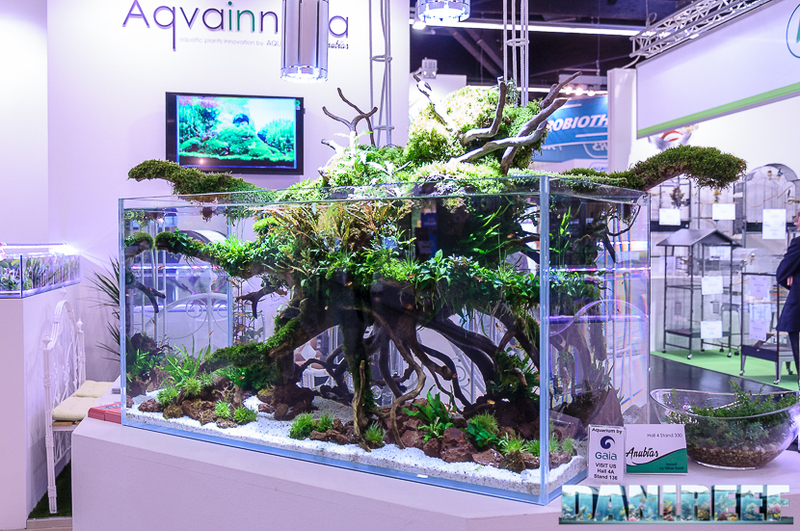 On Saturday afternoon, we even stumbled onto a crowd of aquascapers who met inside the booth just for a flash mob … or something like that. 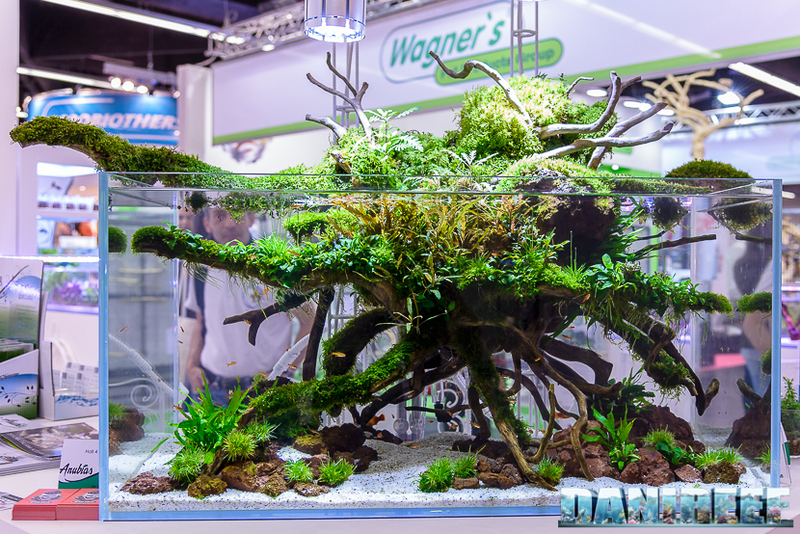 The booth was this crowded for most of the show, full of both curious attendees and seasoned aquascapers, from all over the world. 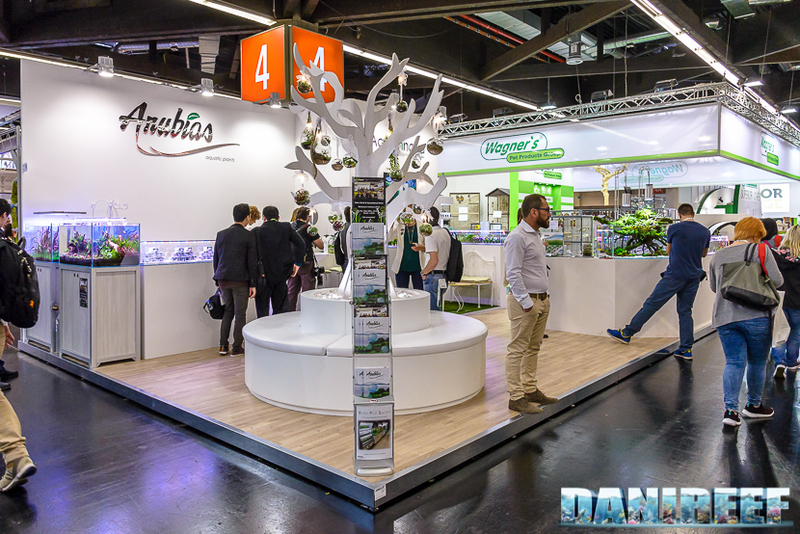 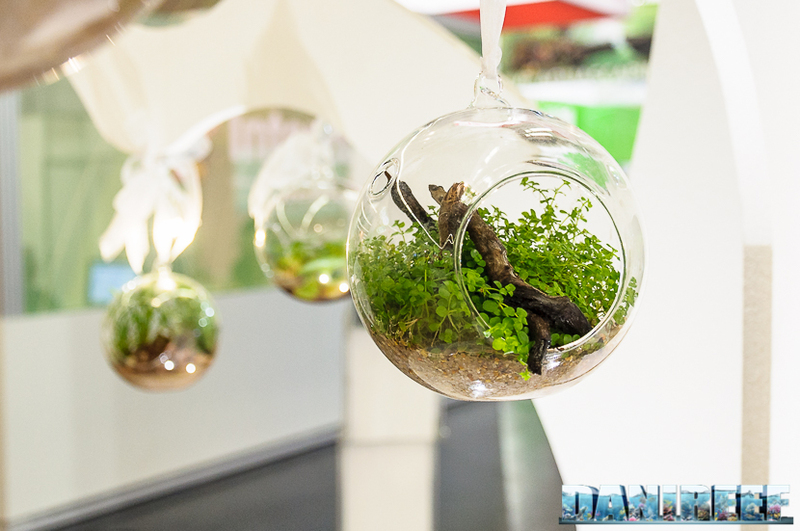 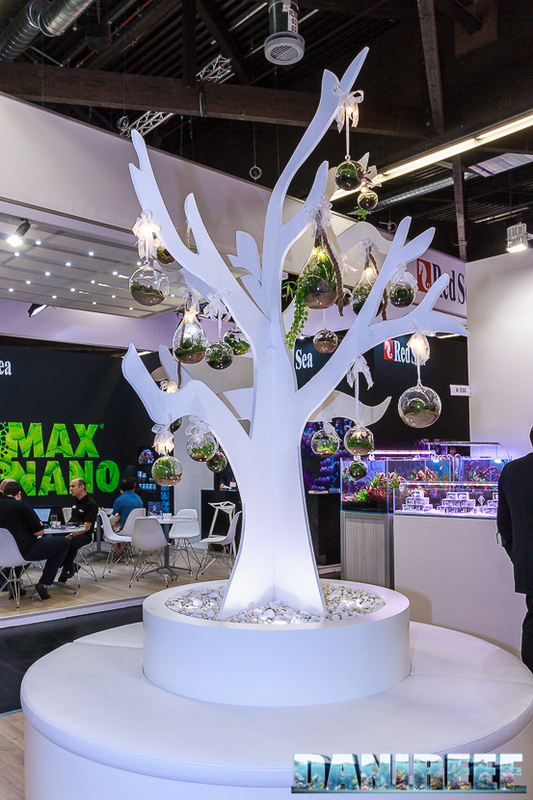 A beautiful tree, decorated with Plexiglas balls containing aquarium plants, greeted visitors at the entrance of the booth. 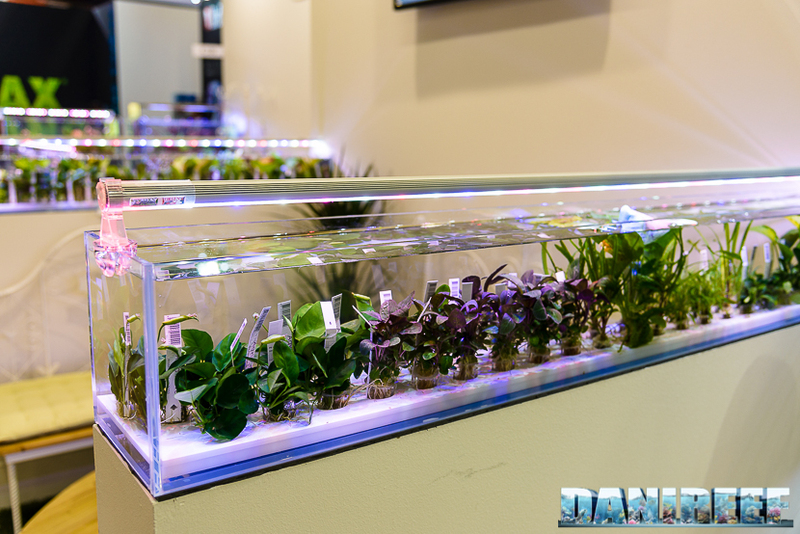 But let’s talk about the main attraction, this gorgeous aquascape: Oliver Knott created this piece of art three months ago in the Anubias office, and it was grown and maintained by Giuseppe Nisi and Fabio Lorusso. 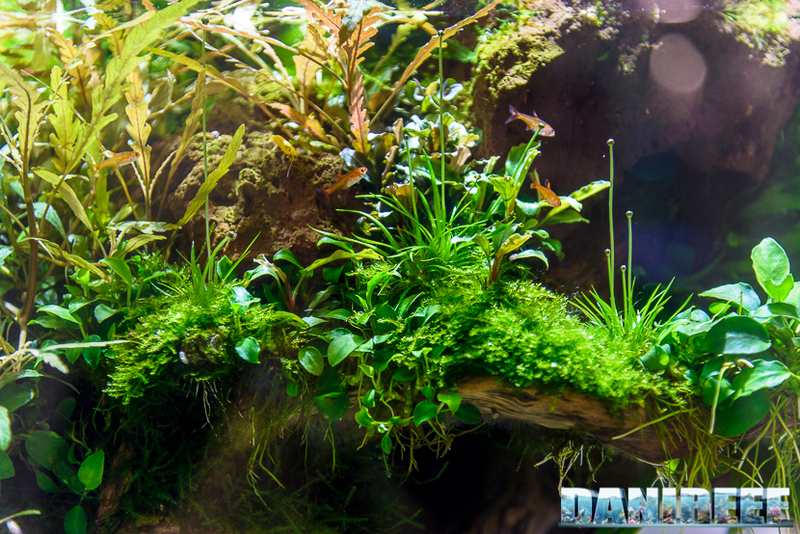 It is really beautiful, with elements both under and out of the crystal clear water, plants (obviously) provided by Anubias, and a tank supplied by Gaia Italia, a company that has begun specializing in aquariums specifically for aquascaping. 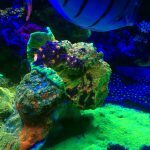 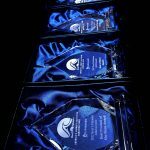 I hope you will forgive me for publish several more photos of this masterpiece…for a marine aquarium lover like me, it is difficult to remain indifferent. 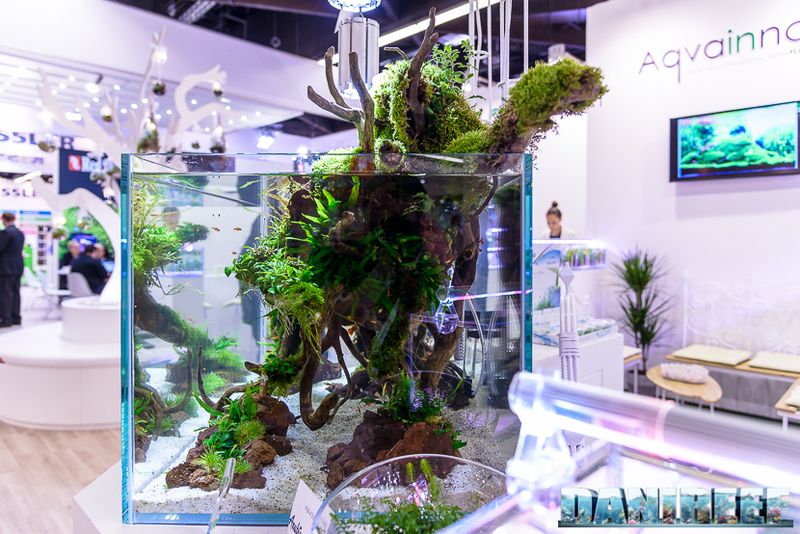 And there were some other eye-catching Aquascapes at their exhibit; two in particular caught my eye – one was created before the fair and the other was brought to life during a live exhibition at Interzoo. 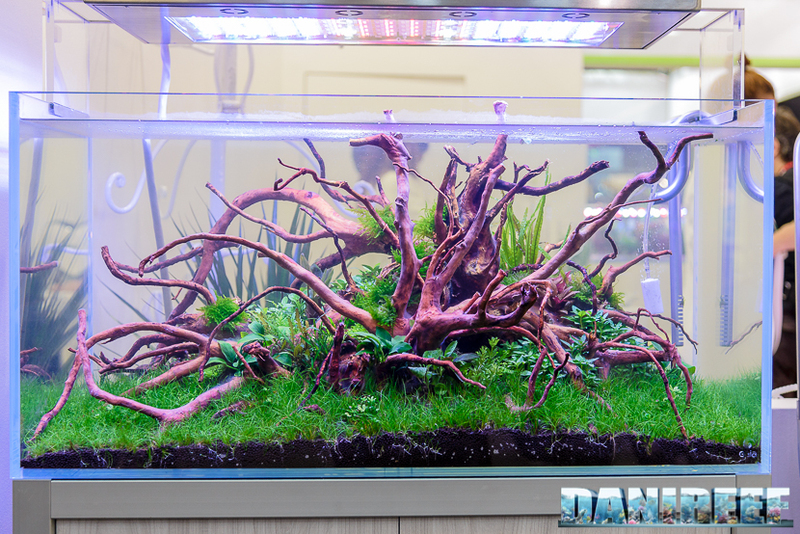 The first was created by the Spanish BalbiVaquero and the Portuguese Filipe Oliveira and we can see it in detail in the following photo: Its extreme simplicity was both impressive and beautiful. 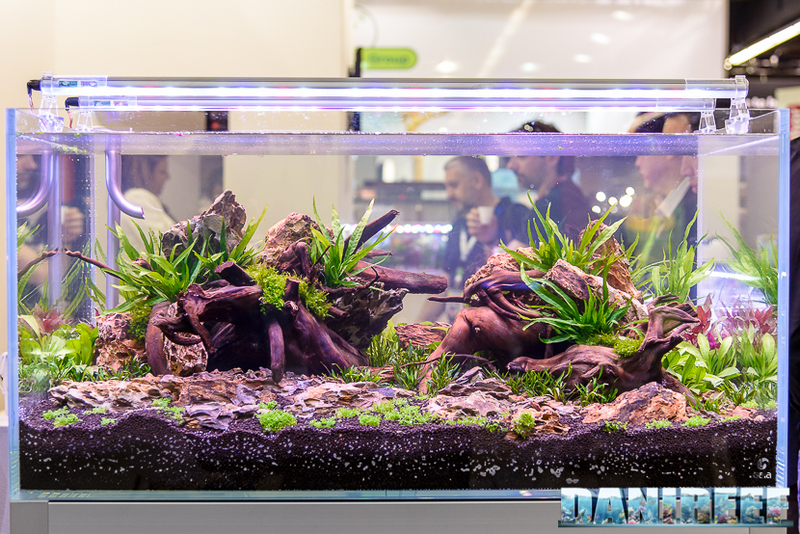 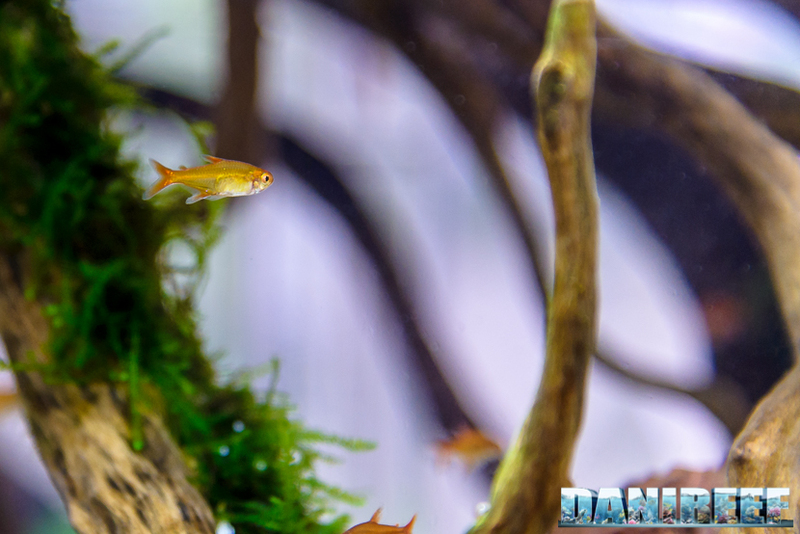 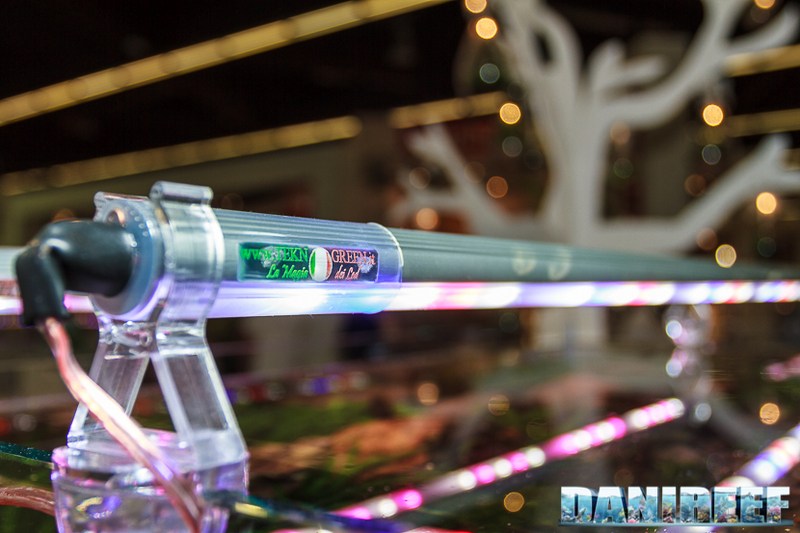 The second aquascape was created by Mike Senske during the show, much to the delight of onlookers: The aquarium was provided by Gaia Italia and illuminated by Tekno Led from Tekno Green; the comapny’s LEDs were used on almost all the planted tanks at the booth.